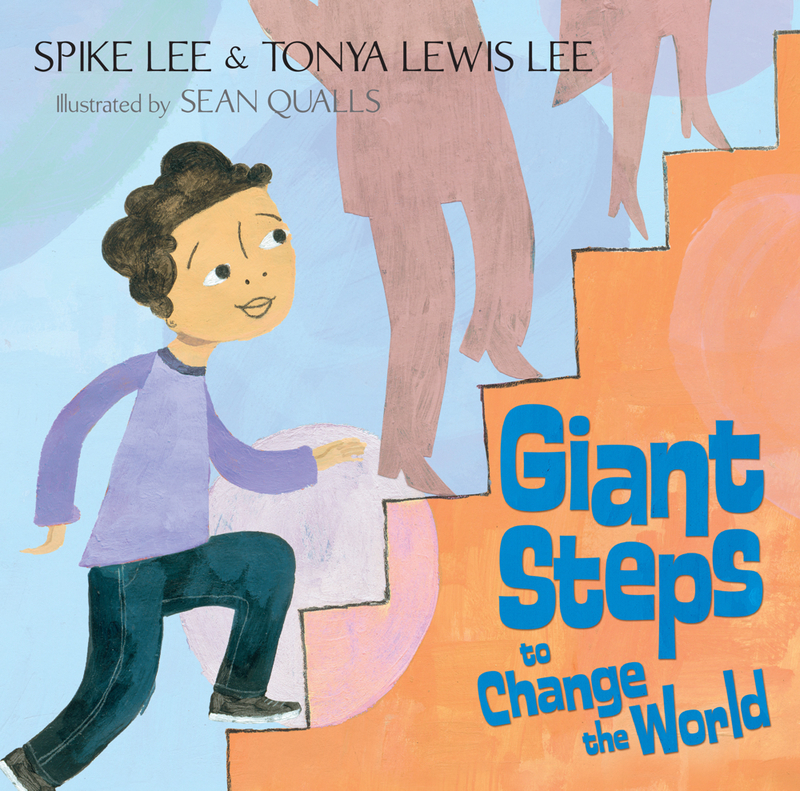 Spike Lee – yes, the famous filmmaker and the man with his own cable channel – is a children’s author! Giant Steps to Change the World isn’t his first work, but it sure is a heavy hitting one. Its message is solid, daunting, challenging, and yet inspiring: Life is going to be tough, but figure out what you’re going to contribute to the world and make it big and make it happen. Lee’s wife, Tonya, also contributed her pen to the paper in this book and it shows. On each two-page spread featuring mixed media images by Sean Qualls a new unnamed hero or heroine is used to exemplify how difficult the hand you’re dealt may be, but that nothing is insurmountable. The pantheon of giants includes Langston Hughes, Jean-Michel Basquiat, Barack Obama, Albert Einstein, the Tuskegee Airmen, and others. and asked for nothing in return. I think adults need this book as much as kids do. For many of us, it can test all your willpower and drive to become an entrepreneur or an innovator much less an advocate for animals who wears his/her heart on their sleeve.